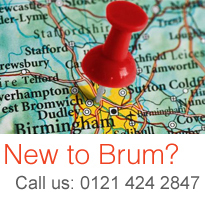 Our clinics are based within the Department of Infection and Tropical Medicine which is adjacent to the Department of Sexual Health and HIV Medicine, Birmingham Heartlands Hospital. For directions to Heartlands Hospital, please click here. For enquiries regarding the HIV service, phone clinic reception on 0121 424 2847.